Two months have passed since Kirito and Asuna were trapped in the game Sword Art Online, and their partnership remains strong after navigating the rivers of Aincrad’s fourth floor. The pair move on to the ruins of the fifth floor to enjoy hunting for treasure, but danger looms beneath in the ghostly dungeons. The game must still be beaten, but a darker shadow lurks in the background attempting to set Aincrad’s two dominant guilds against each other to ruin the chances of the players escaping with their lives. Having survived a duel with Morte on the third floor, Kirito attempts to stop this mysterious group’s plans with a bold move of his own, and he’ll need Asuna’s help to do so. 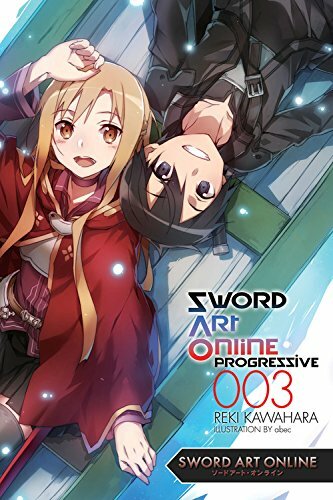 After two volumes which saw Kirito and Asuna embarking upon a long in-game quest, this volume recentres the story upon their core existential predicament of trying to beat the game as they progress onto the fifth floor together. 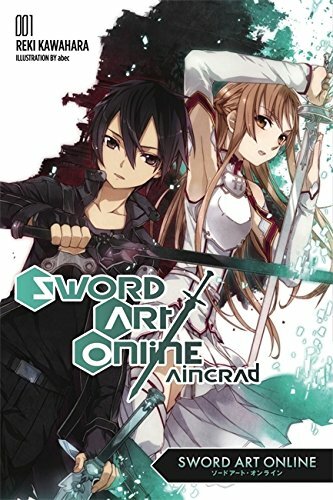 One of the most interesting parts of this series has been its emphasis on fleshing out both Kirito and Asuna’s respective personalities in good measure, and this volume continues this process by splitting itself in half – the first from Asuna’s perspective, and the second returning to Kirito’s point of view. Unfortunately, Asuna stars in the slower and more directionless part of the book that sees the two talking primarily of treasure while doing a bit of dungeon-crawling, and I thought that there were a few superfluous scenes such as the ones highlighting her fears of ghosts which led to this volume getting off to a slower and initially less interesting start. However, we do get some interesting character development on her part as her feelings of inadequacy towards Kirito are fleshed out through both her inner monologue as well as in a fun little confrontation with Argo. This is where the split in point of view ends up paying off because we get to see an interesting juxtaposition here between Asuna’s insecurities versus the pedestal that we see Kirito put her on when the perspective switches to him later on in the volume. I liked seeing this duality, and it really painted an interesting picture of these two teenagers mutually struggling with their own fears with regard to their slowly growing relationship. One of the most fascinating sequences which used this switch in perspective to flesh out both of these characters well was one following Asuna as she witnesses Kirito heading into a dungeon mysteriously in the middle of the night. The result is that she inadvertently causes him to get into a confrontation with a few dangerous players himself, and this highlights her general fear for him as well as her admiration for his calm and resolute action in the face of danger. Interestingly, we get to see this scene from Kirito’s perspective immediately afterward from his perspective, and we see that he was inches away from losing control in fearing for Asuna’s safety. This was a really cool way to flesh out their perceptions of one another as well as their own inner motivations, and I thought this was a highlight of the continual and charming building of their relationship in this volume. It’s been a lot of fun to see their feelings grow over the course of this series, and this volume is the most tangible yet in this department as we see them really beginning to acknowledge that they care about one another as they proceed into the ending boss battle. The first part of the book is admittedly a little bit slower, but it does a good job reintroducing the “player-killer” plot which Kirito became embroiled in during the second volume as he fought in a deadly duel against the mysterious player Morte. This ends up being strong grounding for the plot of the rest of this volume in becoming twisted in an interesting way with the guild dynamic which has been fleshed out so far in this series. The result is Kirito and Asuna discovering a secret plan to pit the two biggest guilds against each other, forcing them to assemble a team and rush to beat the floor boss as quickly possible. This was a nicely coherent plot which drew upon some of the best elements of this series so far by utilizing the political dynamics of the game in an interesting manner with some depth while remaining easy to follow. We see Kirito struggling yet again with trying to figure out his place in the game while trying to reconcile that with his attachment to Asuna, and I thought that his motivations were portrayed very well in driving forward the overarching rush to beat the boss. 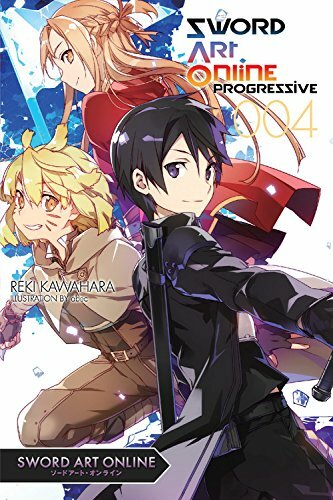 In the author’s notes of the previous volume, Reki Kawahara expressed his plans to deliver a big boss battle in this volume, and the final portion of this book definitely delivers in that department with an exciting and well-paced battle as Kirito, Asuna, and their assembled party take on a massive golem. I really enjoyed the way that the battle progressed because of the way it engaged the mechanics of the game and the tactics of their group in a thoughtful way as they proceed through the battle. However, this didn’t take away from the excitement at all because the strategy and movement through the battle was well conveyed and easy to visualize thanks to Kawahara’s clear description. We really get the sense of the group working together throughout this battle with little moments of individual action built-in to emphasize the character arcs in play – we see Kirito’s struggle with taking leadership, as well as Shivata and Linte’s mutual devotion come to the fore. I really liked that the motivations of these characters weren’t lost in the action and were rather built up through it, making for a battle which was exciting in itself while also pushing the plot forward. The aftermath of this battle returns the focus to Kirito and Asuna to end off, and this felt wholly appropriate given that their relationship remains the emotional core of this series. It’s a cute end which emphasizes how far they’ve come, but it feels wholly earned given how well grounded their feelings have been as they’ve grown. Kudos to Kawahara for that, and I’m definitely eager to see this process continue in the future. Sword Art Online Progressive Vol. 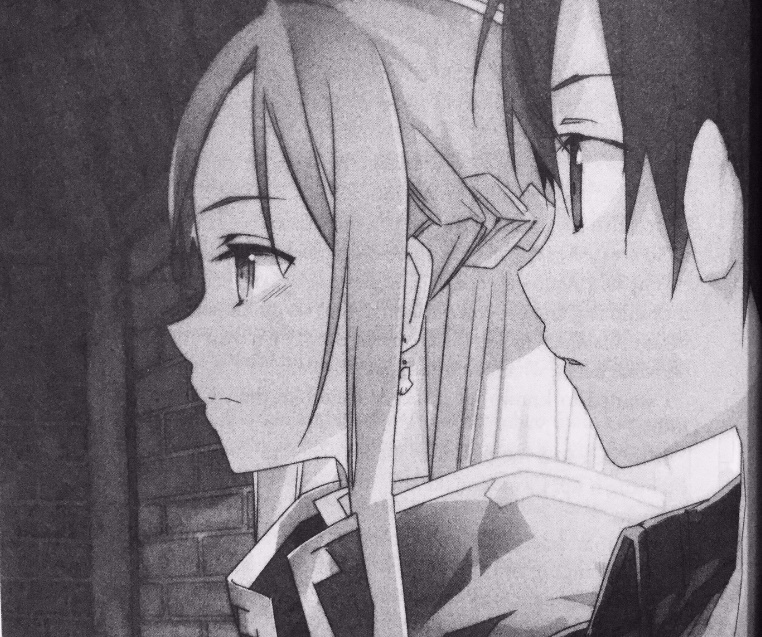 4 continues Kirito and Asuna’s journey together strongly by focusing on building up their relationship in a strong way by telling parts of the story from each of their perspectives in a way that raises a number of interesting inferences about themselves and their feelings. Although the beginning is a little bit slow, the second half of the book is excellent as the story races towards an awesome boss battle which simultaneously build the characters while being exciting reading to cap it all off. This is probably the most emotionally compelling look at these characters so far and should be a definite pick-up for anyone looking for an exciting action-adventure. 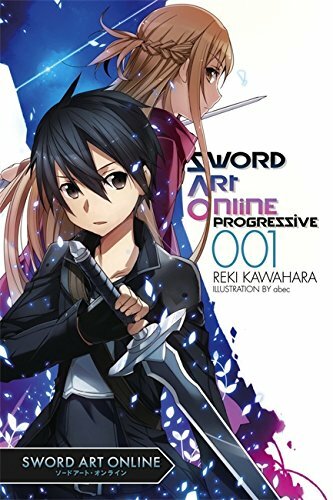 Sword Art Online Progressive Vol. 4 was published by Yen Press on October 25th, 2016. Authored by Reki Kawahara and illustrated by ABEC, the series is currently ongoing and published by ASCII Mediaworks’ Dengeki Bunko imprint. First published in Japan on December 10th, 2014, four volumes have currently been released.